Chevy adds another crossover model. Chevy’s Blazer makes its presence known. 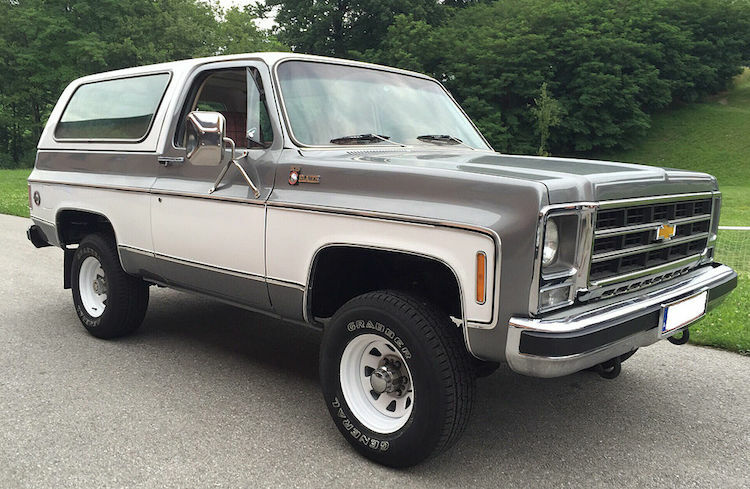 The Chevrolet Blazer first emerged in the late 1960s, a name affixed to a full-size sport utility vehicle. Even as the model was renamed the Tahoe in the 1990s, the Blazer appellation also found its way to a small SUV in the 1980s, before that model was succeeded by the TrailBlazer in 2006. 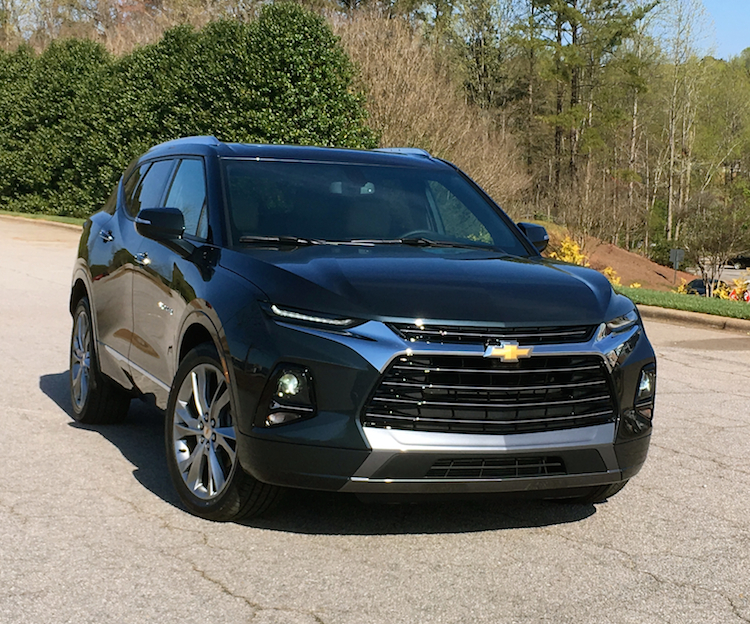 For 2019, the Chevrolet Blazer name returns, but this time it represents a midsize two-row crossover utility vehicle. Gone is the traditional truck-based body-on-frame layout. In its place is a car-based crossover. 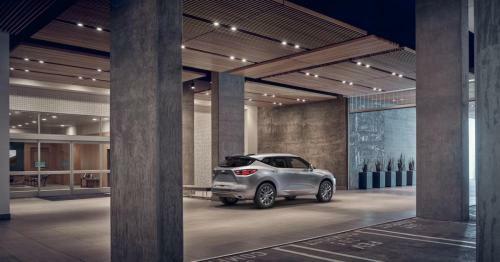 The new model competes with the Ford Edge, Nissan Murano, Kia Sorento, Jeep Grand Cherokee, and the Hyundai Santa Fe. 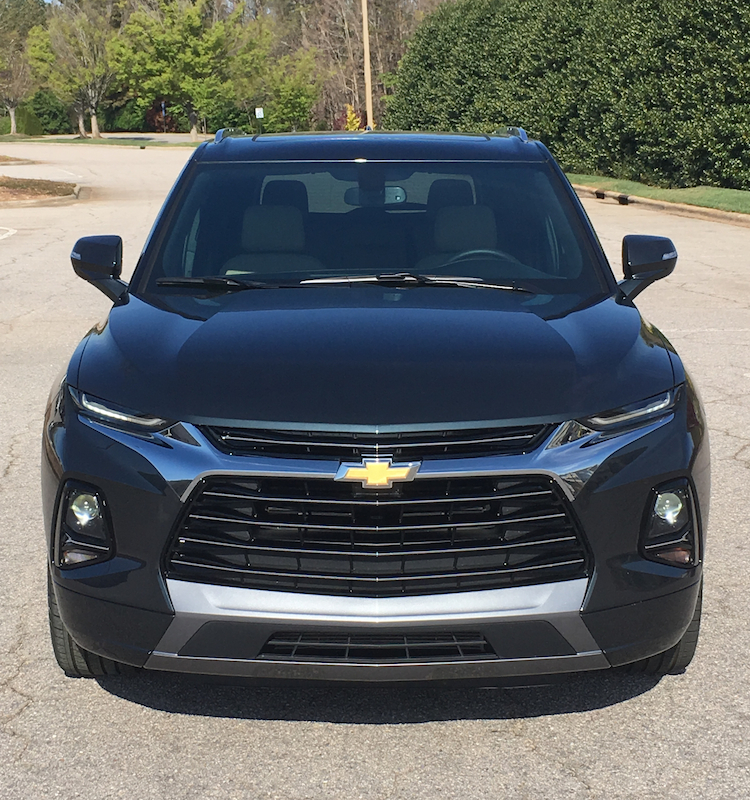 Chevrolet offers the 2019 Blazer in six trims: L ($29,995), Blazer 2.5 Cloth ($33,495), Blazer 3.6L Cloth ($34,495), Blazer 3.6L Leather ($38,695), RS ($41,795), and Premier ($43,895). Add $1,195 for the destination charge. Packages are available, except with the base trim. You’ll find as many as seven on the two Cloth editions and eight on the Leather trims. 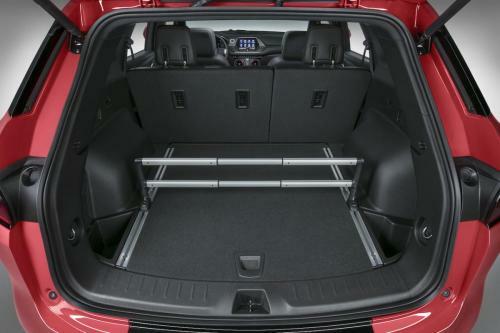 The RS and Premier have nine packages each, although like the other trims most of the packages cover such things as floor liners, cargo hold protection, storage optimization, and roadside safety. A few of the sample packages include a Convenience and Driver Confidence Package ($1,845) with the Cloth editions. This one comes with remote start, a power liftgate, heated front seats, lane change alert with side blind zone alert, rear cross traffic alert, and rear park assist. A Hit the Road Package ($1,050) adds roof-rack cross rails and molded assist steps. Other package options offered further up the trim range include an Enhanced Convenience and Driver Confidence II Package ($3,575), which adds such features as a navigation system, an 8-inch color touchscreen display, a power tilt-and-telescoping steering column, and ventilated front seats. You’ll also find advanced safety features including adaptive cruise control with forward pedestrian braking. A Sun and Wheels Package ($2,495) adds a panoramic power sunroof and 21-inch gloss black aluminum wheels. 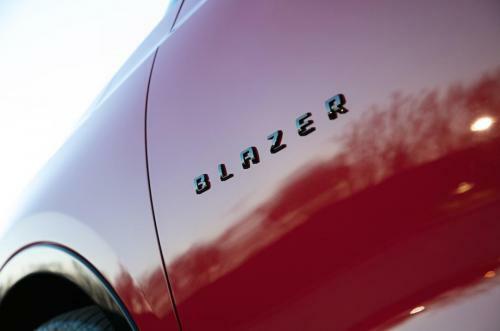 The all-new Blazer represents a strong departure from the truck-like SUVs of Chevrolet’s past. This crossover’s front end features elements of the Camaro with its narrow upper grille and LED accent lighting. 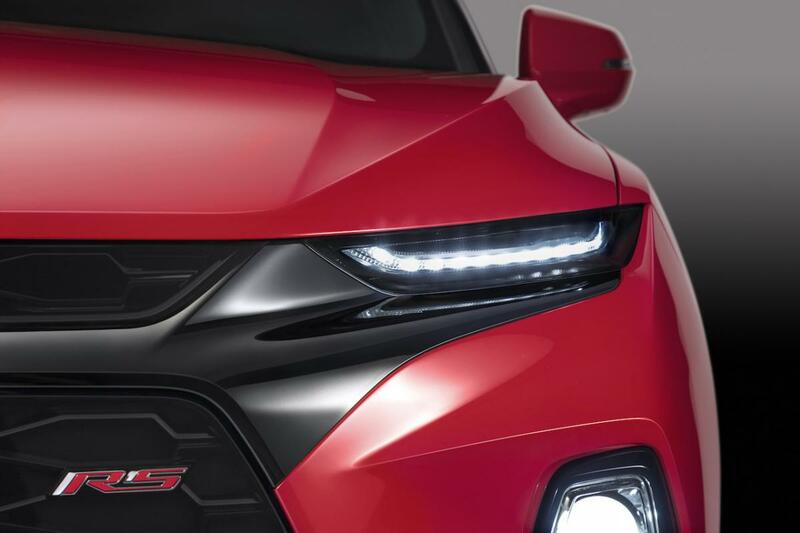 The lower grille is closer to a Toyota product than anything else Chevrolet offers. This crossover has a powerful stance with a high beltline and a floating roof. 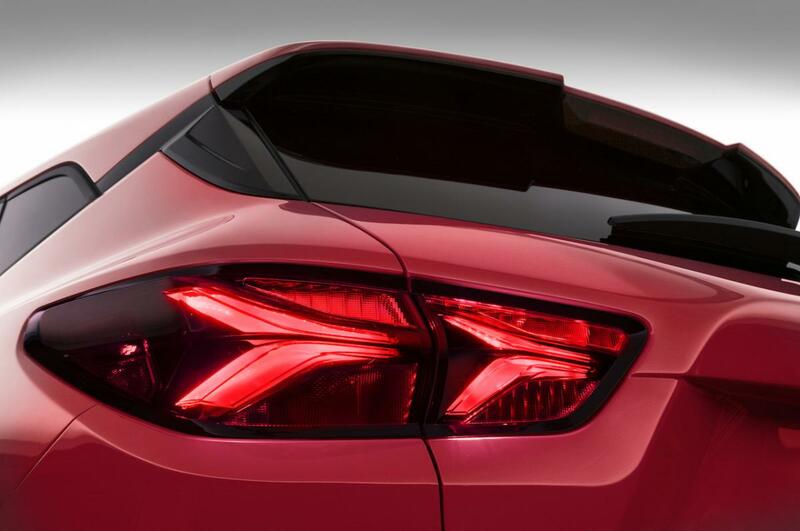 Big wheel arches, attractive body sculpting with available rocker panel trim, and distinctive taillights on a sculpted tailgate are other standout features. Our test model also had diffuser-like trim with a pair of exhaust outlets. Inside, the space is quite comfortable and suitable for five adults. 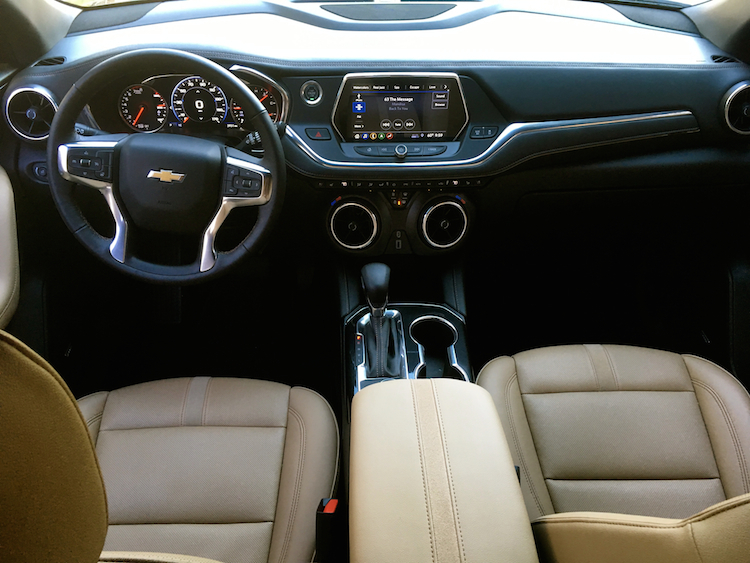 We’re glad Chevrolet resisted offering a third-row seat like that found in the GMC Acadia. 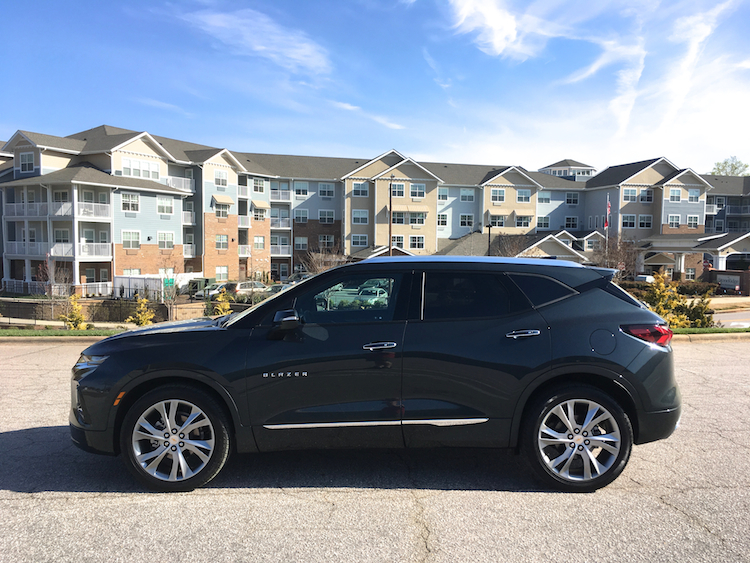 If you need the extra space, make a move up to the Chevrolet Traverse. “Symmetry in motion” is perhaps our best catchphrase to describe the Blazer’s cabin. 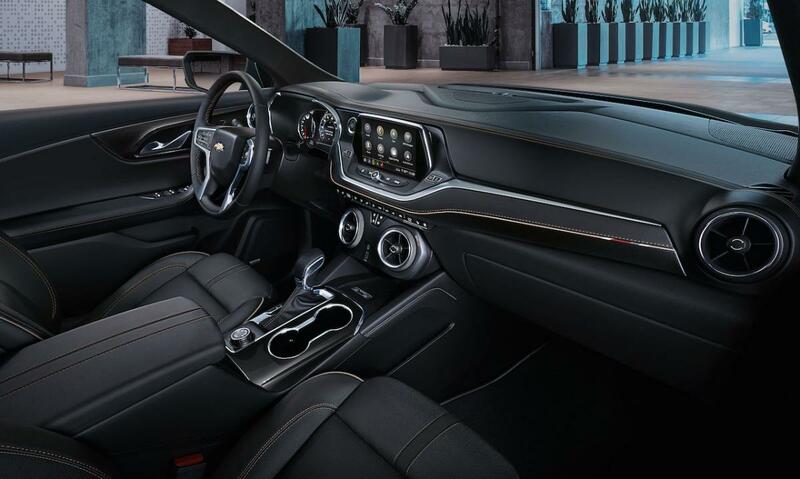 The layered dashboard, simple instrument panel, and uncomplicated center stack are a welcome departure from some of the more complicated designs out there. That said, I found myself hunting more than once for the ignition switch, which Chevrolet places between the instrument panel and color display. The climate control system is managed by turning the dials surrounding the center vents, which effectively eliminates an extra set of buttons or switches. 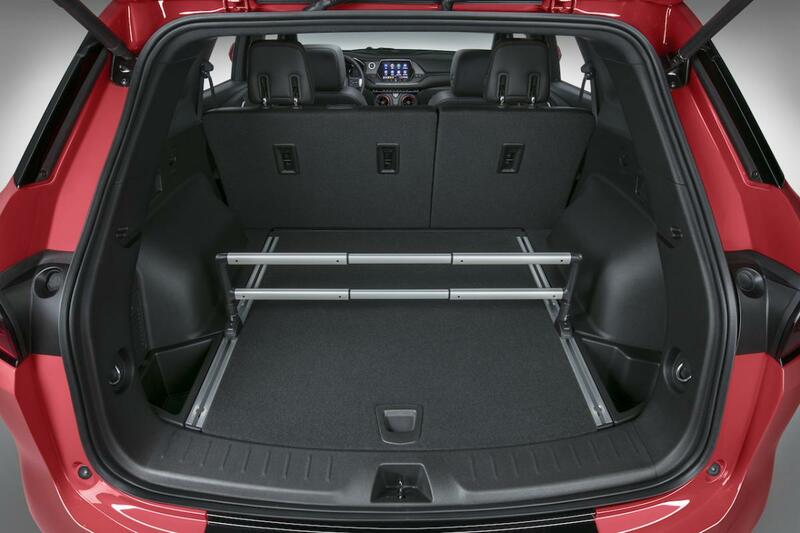 An open area at the bottom of the stack and a big storage compartment underneath the front armrest are two additional desirable features. Material quality ranges from average to superior, depending on the trim. You’ll find the expected amount of plastics, but you’ll also find soft-touch materials, chrome-like trim, and available leather. 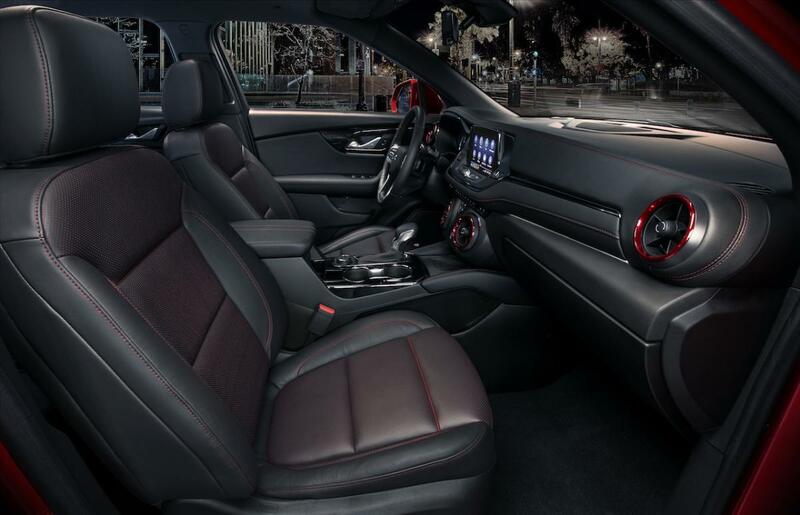 The look and feel is definitely mainstream, with premium elements appearing on the top trim. Give Chevrolet credit where credit is due. 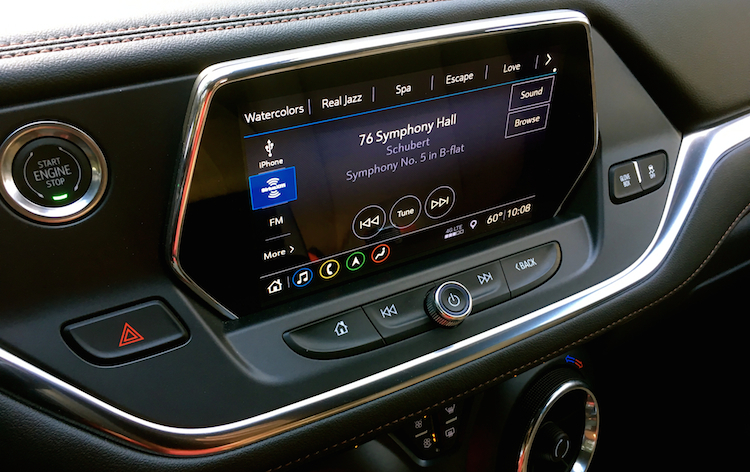 The standard technology package is impressive as it includes a six-speaker audio system, Bluetooth connectivity, two USB ports, an 8-inch color touchscreen, and Apple CarPlay and Android Auto smartphone compatibility. You’ll also find OnStart and Chevrolet connected services capability not to mention 4G LTE Wi-Fi hotspot capability. There are a few upgrades available. These include an 8-speaker Bose audio system, HD surround vision, and wireless charging. Among the standard safety features, you’ll find LED daytime running lights, seven airbags, Teen Driver, and a rear seat minder. 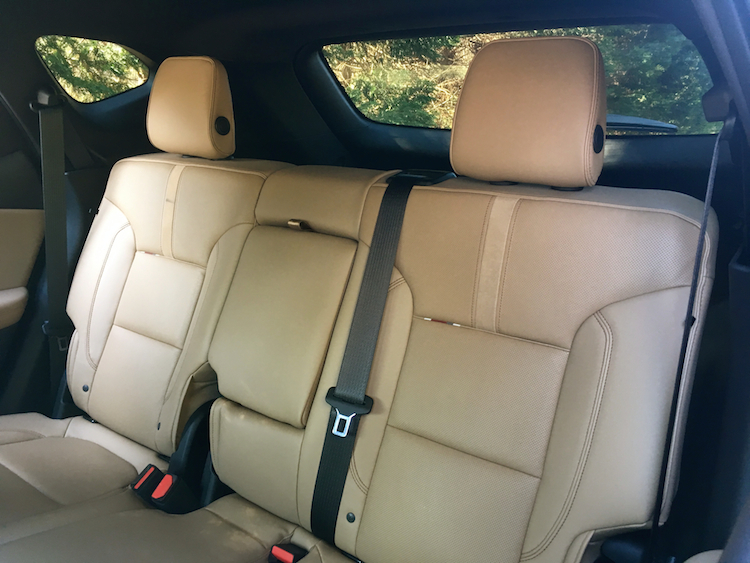 Package upgrades (depending on the trim) include rear cross traffic alert, rear park assist and lane change alert with side blind zone alert appear beginning with the cloth trim. You can also package other upgrades, including adaptive cruise control, forward automatic braking, front pedestrian braking, lane keep assist with lane departure warning, following distance indicator, and forward collision alert. Although the safety features are admirable, that they cost extra or are not available on some trims puts Chevrolet behind the competition. Toyota models, for instance, have adaptive cruise control, lane departure alert with steering assist, and a pre-collision system with pedestrian detection. 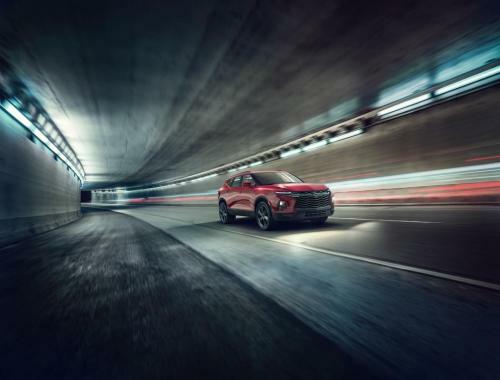 You’ll find a pair of engine choices with the 2019 Blazer. The standard 2.5-liter four-cylinder engine generates 193 horsepower and 188 pound-feet of torque. This model is front-wheel-drive only. We think most customers will prefer the 3.6-liter four-cylinder engine as it makes 308 horsepower and 270 pound-feet of torque. Here, you have a choice of standard front-wheel drive or available all-wheel drive. Both engines work with a 9-speed automatic transmission. 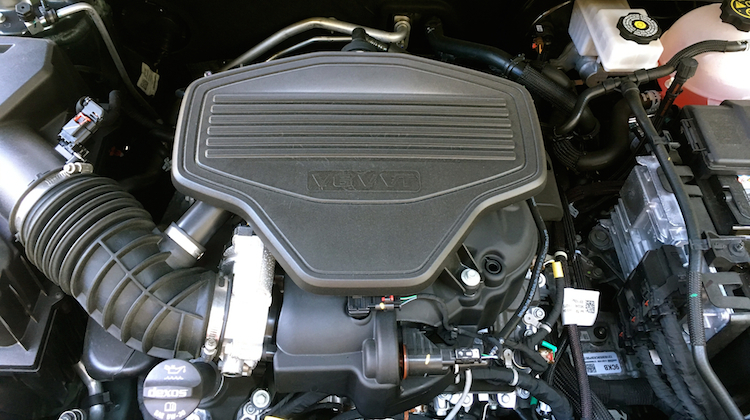 Our test model featured the V6, which supplies ample off-the-mark acceleration and passing power. Indeed, it is more powerful than the V6 powering the Toyota 4Runner, which we tested at the same time. The 4Runner is a traditional SUV designed for off-road use, while the Blazer shines best on the road, although it can tackle light-duty off-roading, such as driving on a gravel road or crossing a clean-mud-free field. They’re two very different models and otherwise aren’t comparable. The Blazer handles just like a car and supplies targeted steering with a decent connection to the road. A fully independent suspension and 18-inch or larger wheels aid with its agility and comfort. The top-trim Premier and RS models come with 20-inch or optional 21-inch wheels. The RS has stiffer shocks and struts along with more responsive steering. You’ll find two different all-wheel-drive setups with this Blazer. Most models have a disconnect feature, which quits sending power to the rear wheels. However, you’ll need to manually engage the system to reactivate. The RS and Premier models have a dual-clutch system, which shifts torque between the rear wheels. Further, it comes with sport, off-road and tow/haul modes. Towing is one of this model’s strong suits, particularly with the V6 engine. The standard engine tops out at 1,500 pounds, the V6 comes in at 4,500 pounds. The latter beats the Ford Edge and Nissan Murano. That said, the V6-powered Jeep Grand Cherokee pulls up to 7,200 pounds. 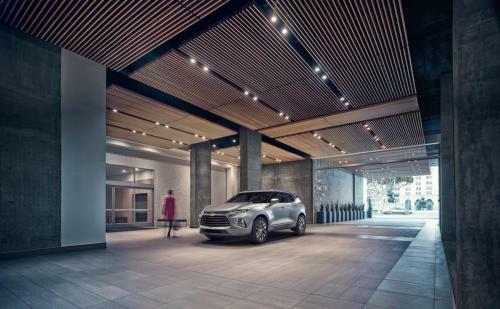 As for Hyundai and Kia, the Blazer beats the first and nearly matches the 5,000-pound maximum capacity of the Sorento. We didn’t test a four-cylinder-equipped Blazer, but we think the V6 is the most suitable choice here. In fact, the V6 is the only choice if you need all-wheel drive. Further, towing simply gets better with V6 as it offers a three-fold improvement over the standard model. If you start your search with the Blazer 3.6 Cloth, your cost is $34,495. Add $2,700 for all-wheel drive. Choose the $1,845 Convenience and Driver Confidence Package, and your final cost is $39,040. 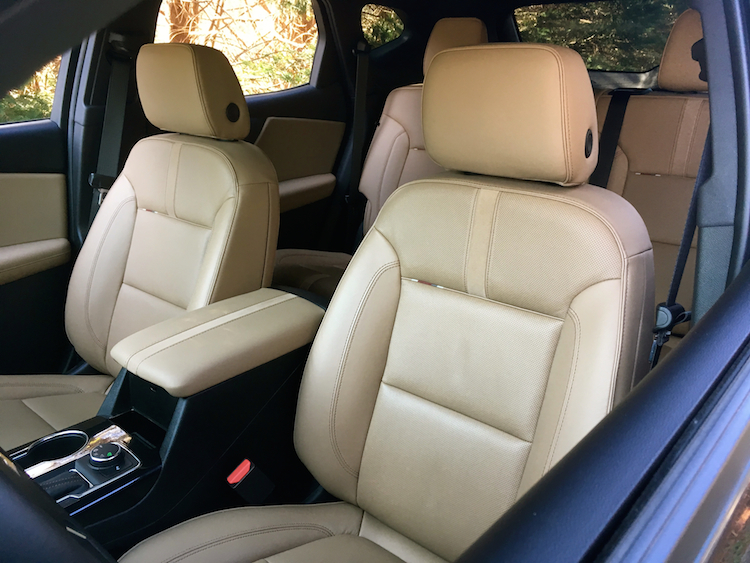 Opting for leather is a $4,000 upgrade, but it includes the advanced driver-assist safety features are also bundled within. 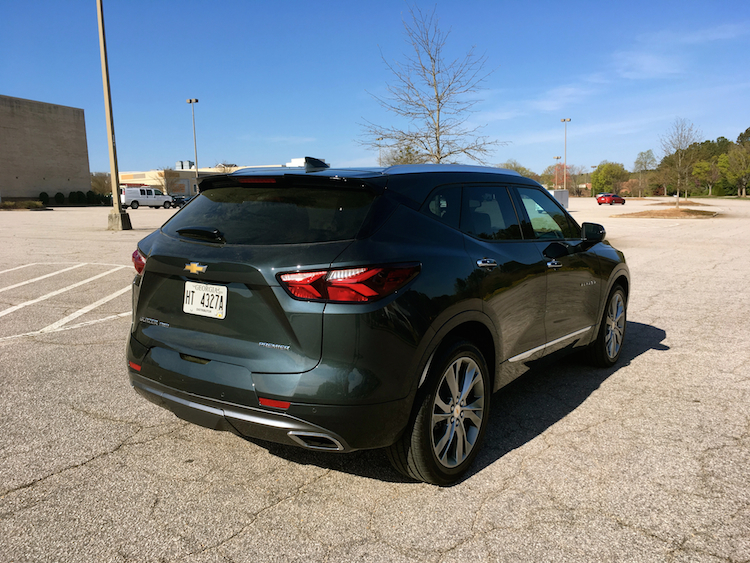 All in all, the Chevy Blazer serves as a welcome transition from the compact Equinox to the three-row Traverse. It is closer in size to the former and priced similarly to the latter. With careful negotiation on your part, driving away in a well-equipped model for about $40,000 is possible. See Also — The Chevy Blazer is Back, But in Name Only?